I had made a commitment to conduct a teacher workshop in Wisconsin before I learned of the teaching position in Kosova. Now I see how perfectly God made it all work together. My second-born lives in Kenosha. I’m able to spend time with her, her husband and four of my grandchildren before I leave the States for ten months. I’m away from home, but still able to talk with my mother and two other daughters via cell phone each day. And I’m able to assess all that I packed. Or didn’t. Living out of my suitcase in Wisconsin brings to focus a few items I need to pick up. It also gives me time to tidy up some business in Cincinnati. Time in Wisconsin gives me a morning to write and “publish” this blog since I have no guarantee how or when I’ll do that once I land in Prishtina. So you see, the post you are reading I am writing during the soft launch phase. I’m looking at these four grandchildren and realizing how much they’ve grown since I last saw them in May. How much more will they have grown by the time I return? I am so blessed. I have eight grandchildren in all. Five boys and three girls. I know they will grow and change. The oldest will be eligible for his drivers license the month before I return. The youngest will be talking. But here is the real question. How will I have changed? In what ways will I grow? For the better, I hope. More patient? Maybe. More independent? Perhaps. More appreciative? Most likely. There was a time in my youth where I charged ahead without a thought of the impact each decision, each turn in the road would have on my life. My dreams were big. My ideas about myself were also big. I find myself in a season of life now where I know how small I am. I know the dreams I’ve lived and the ones beyond my control. I know God has a plan and I’m willing to walk a path that allows that plan to unfold in his time. I no longer need to be in control. How will I change? Hopefully for the better. Most likely in ways I’ll never understand until later. Much later. 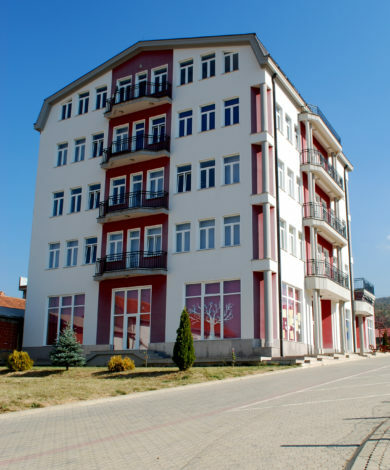 Last week I officially announced my move to Kosova. (If you missed it you can catch it HERE.) I will be in the country for ten months teaching fourth grade at Prishtina High School. Though Tom and I travelled extensively, I have never lived abroad. Actually, I never lived away from home. I never had a college dorm experience where I had to pack for the school year. I lived with my parents until I was eighteen. That’s when Tom and I married and moved into a home of our own. It’s time to pack. I can’t rely on the old vacation motto, “As long as you have your bathing suit you can manage.” I’ll be living in a country where the winters are cold and long. There’s no going home on the weekend to pick up a sweater I forgot. Nope, I have to be careful with what I take. And wise. I can check two pieces of luggage. Each piece can weigh no more than fifty pounds. Let’s see, two winter coats, boots, shoes, and assortment of clothes will hit that ceiling in no time. I still need to include a couple of towels, sheets, and personal care items. I’m taking my computer, a few teaching supplies, and a couple of books in my backpack. Of course I need my hot/cold insulated water bottle and my travel pillow. I’m bent on squeezing the clothes I’ll wear in both the fall and spring into my carry-on bag. I talk with my friend and fellow world traveler, Jill about how to pack. She recommends I find truck storage trunks in the auto department at a local store to use as my checked luggage. “The total measurements, height plus length plus depth can’t exceed sixty-two inches,” she tells me. Hmmm…every trunk I find is over by an inch until I hit my local Tractor Supply store. My daughter, Allison is a packing whiz so I invite her over to help me squeeze my jeans, slacks, coats, dresses, tops, sweaters, shoes and socks into the small space. Not to mention my undergarments and jammies. We’ve decided to divide the pile of clothes I’ve assembled on my bed into two seasons: “winter” and “everything else.” We’ll pack a bit of each season in each trunk so that if the airline happens to lose a piece of my luggage, I can still manage. My firstborn works her magic and with the help of vacuum bags (what a great invention) I have two trunks packed in a matter of minutes. I also pack a reversible dress in my backpack. Just in case. At least until my luggage catches up with me I’ll have clothes to wear. Experience speaking. And then there’s the food. Not snacks. Food. I laugh at myself as I drop an assortment of hot water friendly staples in the crevices of each trunk, stuffing a few in my carry-on and backpack as well. Nothing crazy. Packets of instant oatmeal, dry chicken soup, and ramen noodles. I laugh because taking the food with me reminds me of my Korean friends who carried bags of rice and beans along with a single burner gas stove with them when they moved to Cincinnati. “All Koreans bring rice and beans and a stove with them,” On-yong told me. “We worry we won’t be able to find food we can eat in America.” I can still see her smile. I take some of the packets out. People in Kosova eat. There’ll be food. Two trunks, one carry on, and a backpack. Now if I could just find a little more room for my bathing suit. You never know when I might need it. Join me as I travel to Kosova (the Albanian pronunciation for Kosovo) in Southeastern Europe. Each week I’ll share my experiences. Leave your comments and questions below. I’ll try to address each as best I can. In June I shared I moved. In writer terms, the move caused me to edit my life as I downsized my living arrangements. The new house required some repair and changes to meet my needs. That was part of the revision stage of the move. The other part of the revision of my life came when I moved in and realized the rhythm of my daily routine changed as well. Editing, revising, a new chapter…see how cleverly I wove writing into this post? But this post isn’t about writing. It is about following God’s will. As in most situations, I can look back now and see how past events lead me to the place I’m in right now. Actually, maybe this is about writing. As authors we lay the groundwork for events taking place in our novels. We piece the story together in a meaningful way. Readers finish the book, look back on the early elements of the story and see how it all fit together. I was an elementary teacher for half of my career before moving to the university to teach in the education program. I loved teaching and wanted to pass the love of what I did on to college students. Several years ago, Tom and I accompanied five of my teacher education students to Kosova for a cross-cultural learning experience. For a week, my students worked with high school students learning English. While I was working with my students, Tom visited a gypsy community. One of the gypsy men had an idea for a septic system for the community. We talked about returning one day. He could work with the gypsies and I could teach, but Tom’s heart condition altered that plan. It was just an idea, we told ourselves. As we prayed, this did not seem to be God’s plan for us. Do you see where I’m going with this? Groundwork. I am a teacher. They need a teacher. I have been to Kosova and have a heart for the people there. I have a valid passport and I’m ready to go. All of the paperwork I needed fell into place. My family is totally supportive. At every turn, I see God’s hand guiding me…leading me into this new chapter of my life. It will be hard but it will also be joyful. It will be challenging but it will also be rewarding. It may be scary at times, but it will be exciting. Living in God’s will for your life is like that. It’s an adventure. Readers and writers agree. Getting inside the head of your character is paramount to creating a strong, believable story. In the past I’ve shared how I create biographies and excel spreadsheets for each character. I write down birthdates, hair color, college attended, and anything else I can to describe the person. When I add information in the book as I craft it, I include that information in the spreadsheet. I’ve even developed family trees to identify members of my character’s family. Many authors go a step further, pulling images from the internet to represent a character. Some authors use those images in digital posters reflecting a character or characters. And a few well-known writers “cast” a movie star to play the part of the character they are creating. The bonus there is that the author can not only “see” the character, but can “hear” him or her talk and envision the character’s physical expressions, and mannerisms. We are writers. We love words. We love word pictures. It’s what we do. While we all love words – to hear them, write them, read them - we live in a visual world. We know the old adage that a picture is worth a thousand words. Consider the most popular social mediums of our day. We gravitated toward 140 characters (Twitter) and quickly moved on to no characters. Facebook, Instagram, and Snapchat are popular for a reason. Instagram gained popularity as an image-only format. I know of several people who prefer Instagram because it immediately zooms in on the key content of the person posting. In a quick glance at someone’s feed you can easily identify their passions and pains, how they choose to spend their time, what motivates them, and what they value in life. 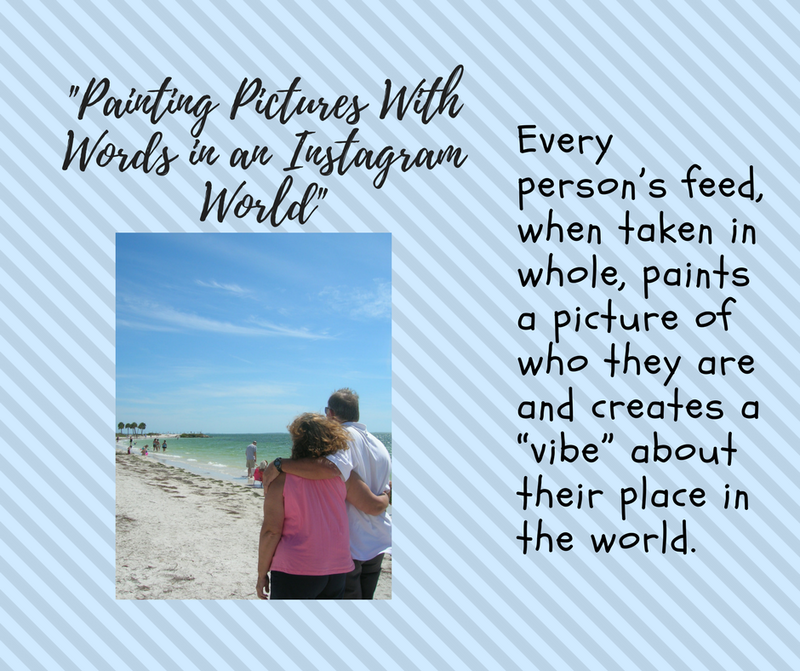 Every person’s feed, when taken in whole, paints a picture of who they are and creates a “vibe” about their place in the world. With social media in mind, I reached a place where I wondered what my characters would post on Instagram. This is a different perspective. This is not an image for me to hold before me as I write, these are the images that inform me of my character’s sense of self. For example, in my current work in progress (WIP) I am convinced my male protagonist, Sam, would post images of his car, his boat, and his friends at concerts and ball games on Instagram. A closer look would reveal him as a visual name dropper, posting pictures of him rubbing elbows with important people. Analysis of images would reveal he is not merely at a ball game but is enjoying his company’s box seats. He is the producer of those images. Allowing him to do so helps me to think about what is important to him. But I happen to know that all can change. I’m the author. I know that those who follow him will notice when his Instagram feed changes –when color and substance portray a man whose life experience is deeper than the metallic finish on his Mustang. Images of family and friends will bubble to the surface. A picnic by the lake will prevail over a formal business dinner. Romance will creep into his life. His followers will know it before he does as they begin to see images of Kate, her warm smile appearing with ever growing regularity. Sam’s followers will soon see a more honest image of Sam emerging. Not the man he wanted to portray but rather the man he is…or rather the man he is becoming. But enough of Sam’s Instagram feed. Think about one of your own characters. What story does his or her Instagram feed tell? What images does he or she hold dear? What is it that she or she wants to portray? 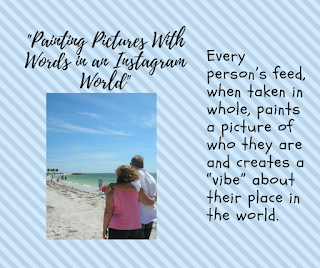 How will those images change as your story unfolds? It’s an interesting exercise. I hope you’ll share some of your thoughts. While last week’s post chronicled my journey as a writer and a widow, it is actually an account of God’s presence during this season of my life. God created me and continues to shape me. I am a unique creation…as are you. As I shared last week, one of the first pieces I completed toward become a published author was to attend the Write-to-Publish conference in Wheaton, Illinois. There I learned everything I could about writing. I attended workshops and met with agents and editors. It was at this first conference I met Eddie Jones who later offered me a contract for Breathing on Her Own. The conference was wonderful. A very special part of the conference takes place at lunch. Participants have the opportunity to sit with conference speakers and publishers in a very informal setting as well as pick the brains of experienced writers. It was over lunch I learned I needed to have a blog. I didn’t even know what a blog was much less why I needed one. Others at the lunch table threw around words like platform, audience, and following. I didn’t know exactly what they were talking about, but if I needed it then I would do it. Once I had the contract for Breathing on Her Own I had to finish writing it. That and teaching my final set of fall semester classes at the university consumed my time. When I turned in the final manuscript (read “my best draft” since there was still work to do) for the novel the last week of November, I breathed deep and set my mind on learning what I could about blogging. I researched the topic on the internet and landed on a free introductory course offered by Jeff Goins. I found his teaching clear and concise. I started implementing all that he suggested. I named the blog A Novel Creation…in part because of the view I have that I am a novel creation in the sight of God and secondly because my goal was to share my perspective on creating a novel. The first six weeks of producing the blog, I averaged 34 readers for each entry. Over time my audience grew to an average of sixty-three readers for each entry. Keeping up with multiple posts each week proved taxing. I wasn’t getting any other writing done. I made the decision to post only once a week. Every Wednesday. Interestingly, my audience grew. I attribute this to consistency. I was using Blogspot, a Google platform. It was/is free and has served me well. A few weeks before Breathing on Her Own was released, the publisher asked me for information to include in the front matter of the book. He wanted to know my website URL. Website? Are you kidding? After a bit of research, I purchased a domain name www.WatersWords.com and linked my blog to it. I included a button for people to subscribe. Once I had my blog under the domain name I noted another increase in readership. By the time the book was a month old, 246 readers were regularly visiting the blog. Why am sharing this? So you don’t have to reinvent the wheel. 1. Learn all you can about producing a blog. 2. Decide the focus of your blog. Who is your target audience? 3. Spend time choosing your website and/or blog name. 4. Be consistent. If you are going to maintain a blog, make sure you can meet the demands. For me, once a week is perfect. 5. Use the tools afforded you to add subscribers and accept comments or contacts from your readers. 6. Write about a topic you enjoy.